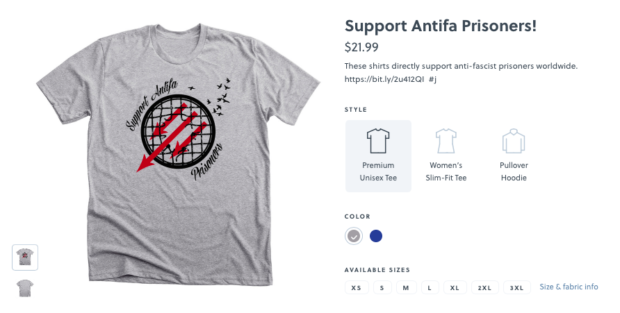 New York City Antifa linked its latest merchandise on Twitter Monday to celebrate the “International Day of Solidarity With Antifascist Prisoners” on July 25. “THIS WEDNESDAY!! JULY 25TH!! IS THE INTERNATIONAL DAY OF SOLIDARITY W/ ANTIFASCIST PRISONERS!! … Ideas for ways to show your solidarity can be found on our blog,” New York City Antifa tweeted on Monday. THIS WEDNESDAY!! JULY 25TH!! IS THE INTERNATIONAL DAY OF SOLIDARITY W/ ANTIFASCIST PRISONERS!! They are in there for us, so we’ll be out here for them!! Antifascists, or Antifa, is a radical anarchist group and “a piece of the struggle against capitalism,” according to an August 2017 tweet from NYC Antifa. “We’re for the international destruction of capitalism,” the organization tweeted in December 2016. 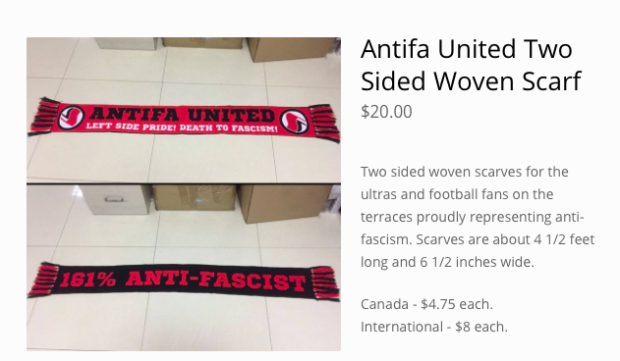 Antifa is pretty universally anticapitalist, yet many different Antifa groups sell merchandise. “No Gods No Masters,” an Antifa site, sells 463 different Antifa t-shirts. The shirts are $15. 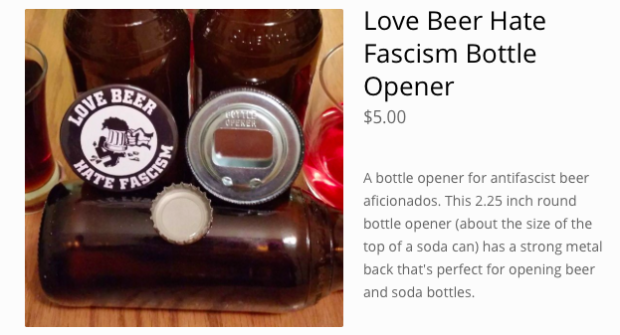 “It’s Going Down,” an Antifa blog and store, also sells t-shirts, along with stickers, buttons, and even a hammock. For $125, one can buy a hammock “by Mexican Anarchist Prisoner Miguel Prelalta” or a $20 “On A Mission Sticker Pack” with branded “It’s Going Down” stickers.